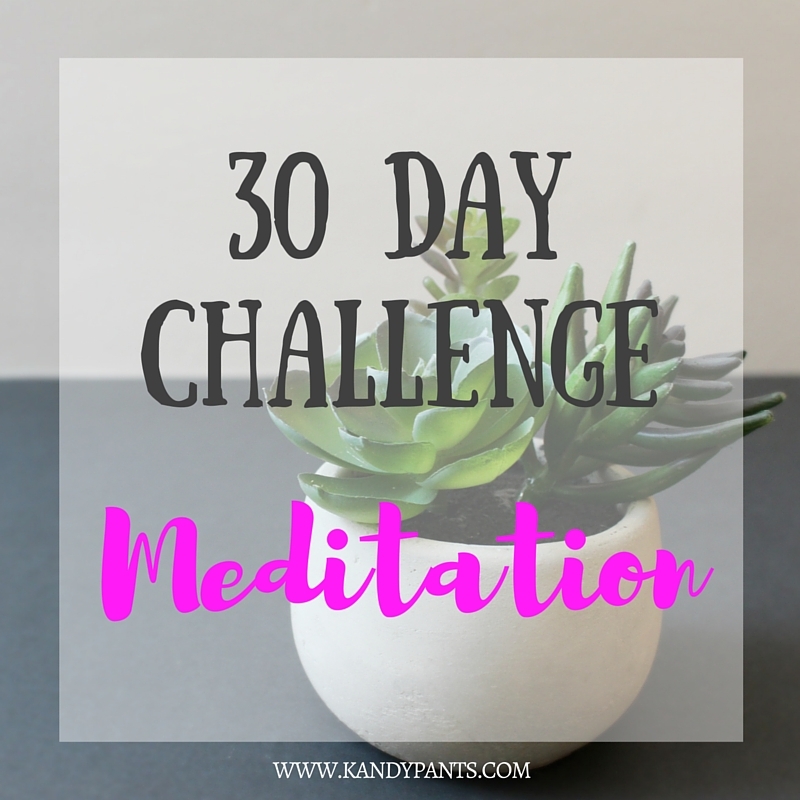 I'm really excited to start this 30 day challenge series on my blog. There's so many new things I want to try or things I want to make a habit in my life and a 30 challenge just seems to make perfect sense - I can do anything for at least 30 days right? "Meditation is a practice where an individual trains the mind or induces a mode of consciousness, either to realize some benefit or for the mind to simply acknowledge its content without becoming identified with that content, or as an end in itself," according to Wikipedia. After reading up on all the benefits of meditation (like increased self awareness, less stress, better sleep, and a feeling of rejuvenation) I figured it would be a good place to start. I found a FREE online 30 day meditation challenge at doyougoa.com that looks simple and enjoyable. It'll only take about 10 minutes a day, which is no sacrifice at all. I'll have a 15 day update and then a 30 day review to see how the challenge went.